support residences of up to eight weeks for writers & other artists. The colony is located in Peterborough, New Hampshire and has 32 unique individual artists studios. Applications are considered in two rounds per year; the next deadline is 15 April. is a twice-yearly writers’ residency based in Kent, England, open to writers under the age of 30. Recipients will have use of a historic two-bedroom seafront flat in Margate, as well as a £250 bursary towards expenses and £50 towards train travel. The next At Sea residency will run from Saturday 13 April to Sunday 21 April 2019 and is open to playwrights. The following residency will be in November 2019 and will be for poets. Applications for the playwrights’ residency close on 1 March. 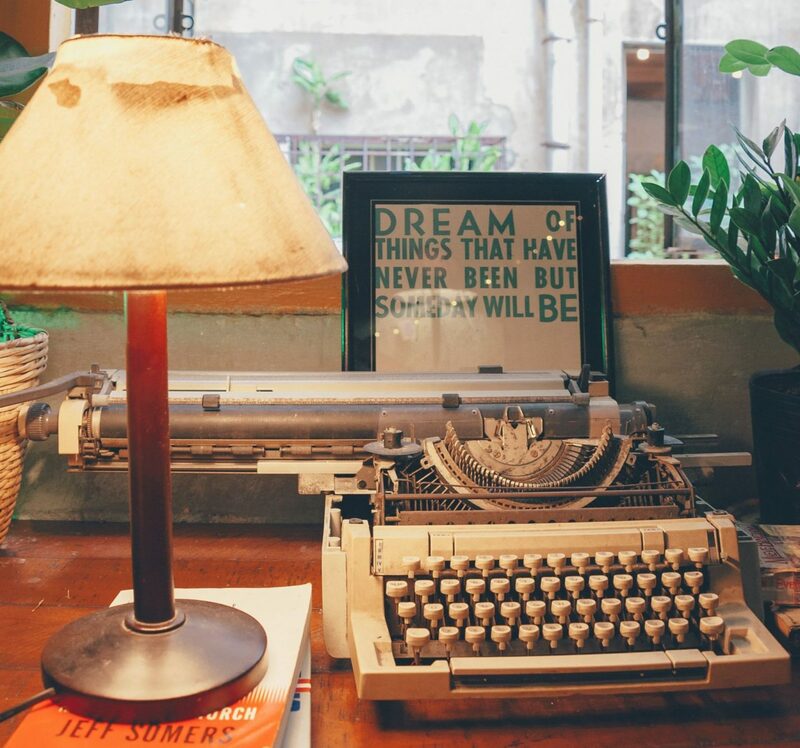 provides four residencies a year to writers living anywhere in the world. Each residency consists of approximately a three-month stay in Orlando, Florida, in the cottage where Jack Kerouac wrote his novel Dharma Bums. Utilities and a food stipend of US$1000 are included. Applications for the 2019-2020 residencies close on 10 March. is located in a remote, rustic wilderness in Maine, halfway between Mount Desert National Park and Campobello Island. A committee of independent jurors will select 16 writers (from fiction, poetry, drama and non-fiction) for inclusion in the program which runs from 7 to 17 July 2018. If accepted, a $125 residency fee is payable, though a small number of scholarships are available. Applications close on 15 March. have been established to enable literary and academic writers born or living in Ireland to pursue a current project during a one-month residency at The Princess Grace Irish Library in Monaco. Recipients receive flights, accommodation, a weekly subsistence payment and a €1300 honorarium. Applications close on 30 March. is offering two one-month residencies for writers at the newly restored Švicarija/Swisshouse Creative Centre. The residency is aimed at foreign published writers with a “palpable, factual relation with any of the other UNESCO Cities of Literature that has to be apparent and described as part of the application.” Applicants must have published at least one book. Applications close on 31 March. in Seattle aims to provide an inspiring and creative place where writers and readers of all levels share an appreciation for well-written words. Its writer-in-residence program offers private writing offices and a monthly stipend of $500 per month for a period of nine months. Applicants should have a specific artistic project they are working on during their residency (e.g., developing a manuscript for publication) and should have a special interest in helping writers become better writers and fostering an appreciation of the craft. Applications close on 31 March. offers a two-month-long residency in Beijing to a poet, fiction writer, or creative non-fiction writer. Sponsored by the M Restaurant Group, this program offers transportation, housing, food, and a $1000 stipend, and is required to participate in one or two events in the community. Applications close on 31 March. is run by the Nuoren Voiman Liitto Culture Association in Sysmä, southern Finland. Its residency is primarily designed to give emerging writers and translators the chance to focus on their work in a private and inspiring setting (a history of publication is not essential). Residency periods in Villa Sarkia are between one to three months. Applications for Autumn 2019 residencies close on 29 April. aims to give a writer time and solitude to help finish a book that is already in progress. The fellowship includes accommodation in a private house on the Clark Fork river trail in Montana, along with a $500 food stipend and $400 toward airfare. In 2019 two fellowships will be offered – one for immigrant writers (documented or undocumented) and one for Native American writers. Applications close on 5 April. comes with a bursary of £12,000 and offers two placements over a year – at National Theatre Wales and BBC Cymru Wales – and a guaranteed broadcast credit on BBC Radio 4 or BBC Sounds. This opportunity is open to writers who can represent the culture of Wales with authenticity (for example they may be from, or have lived or worked in Wales). Applications close on 3 June. awards residential fellowships, including specific Flagship Fellowships for short story writers, poets and political writers and more, to Australian writers each year. In 2019, 24 fellowships will be awarded. Fellowships offer a writer independent writing time, accommodation and full board at Varuna in the Blue Mountains near Sydney. Varuna Fellowships are open to writers of all genres of imaginative writing. Applications are expected to open in June and close at the end of July. is an international writers’ residency program located in Nrityagram, India. It aims to bring together writers from across the world to live and work among their peers in a safe, supportive and nurturing space. A number of fellowships are on offer including The Nevatia Fellowship which supports non-fiction writing in English, especially in the areas of social and cultural change, and The Dhvani Fellowship which supports the work of translators working in and out of Indian languages. Applications open in June. is offering a one-month residency in a luxury apartment courtesy of Berlin’s Circus Hotel, plus a four-day guest pass to The British Council Germany’s 2020 Literary Seminar. To apply/enter, writers should submit up to 3000 words (fiction or non-fiction) on the theme The Circus. The deadline is 30 June. offers six residencies every year, each lasting two months. Residents receive accommodation, a 600 euro per month stipend and are reimbursed for travel costs. Applications are expected to open in June and close in August. has hosted hundreds of authors and translators, representing more than fifty countries, including Gary Shteyngart, Kiran Desai and Colum McCann. Ledig House located in Ghent, New York, two and a half hours from New York City and guests may select a residency of one week to two months. Application information for 2020 fellowships is expected to be available in July. is located in Brora, a coastal village in the east of Sutherland in the Highland area of Scotland. The writer resides, for one week during summer or fall, in a furnished and recently renovated, traditional croft cottage, containing three bedrooms. The residency does not come with a cash prize. The residency has a rolling deadline; the current cut-off date is 25 August. is intended for foreign writers, offering them the opportunity to stay 5 weeks in Buenos Aires as part of their professional and artistic development. Each year one call will be made during to cover the residencies of the months of May-June and September-October. The next application window is expected to open on 1 November. offers writers a space to work in multiple vineyards in North America. Funded through application fees and in partnership with wineries, the program provides writers the time to focus on works in progress or cultivate new ideas in residencies of up to one week in length at no charge. Applications are expected to open July and close in early November. is a Scottish artists’ retreat located on the Rosneath peninsula, an hour’s drive west of Glasgow. Literature residencies take place between March and September and last for between one and three months. Applications are invited from established writers of short and long fiction; poetry; creative non-fiction and memoir; work that crosses these genres and also writers who have made their reputation in one field and wish to develop in another. To be eligible for consideration, writers must have published at least one full-length book in their field. Applications for 2020 residencies are expected to close in December 2019.
is located in Stöðvarfjörður, a remote village in the East fjords of Iceland. It offers residencies of up to six months to writers as well as other artists. Fees apply which cover studio space, accommodation, access to facilities and workshops and transfers from the local airport. located in Stratford-upon-Avon, Warwickshire, seeks to appoint women writers over the age of 40 who need time in which to start, continue or complete interesting or innovative work in English dealing with any subject. Private accommodation is provided in Church Cottage and a bursary of up to £1000 per calendar month is provided. Applications are accepted year-round and the residencies are usually booked a minimum of six months in advance.